Do you remember when it seemed like Subway restaurant was one of the healthiest places to stop for quick service? In the late 1990's, many of us may have took to Subway's "7 under 6" menu for low-fat options on the go. We quickly learned that by picking a lean lunch meat, omitting the mayo and cheese, requesting extra veggies, and ordering on whole grain bread, we could get away with sinking our teeth into a sandwich just about any time we wanted to. Things have changed over the past 20 years though. Now, we know eating something as seemingly innocent as turkey sandwich a day can contribute to our cancer risk. So...what does that really mean? Am I actually telling you that you're supposed to stop packing sandwiches in your family's lunches? Let's get realistic. Take a look at what I buy and why. The #1 ingredient I don't want to see in the ingredients list of my lunch meat is sodium nitrite. Other unwanted ingredients may include added sugars (i.e. honey, dextrose) and food preservatives like Sodium Phosphate, Sodium Diacetate, Sodium Erythorbate, and "Natural" Flavors. Although these are considered "Generally Recognized As Safe" (GRAS) by the Food and Drug Administration (FDA), many also appear on the Environmental Working Group's (EWG) Dirty Dozen Guide to Food Additives. I shop using a more conservative criteria than the FDA allows as GRAS. Because of this, if I see any of these in the ingredient list I put the product back. No questions asked. There are better, more clean eating lunch meat alternatives out there without these added, unnecessary ingredients. No need to spend money on ingredients I don't want my family to eat. From a nutrition facts standpoint, the best criteria to use comes from the American Heart Association. 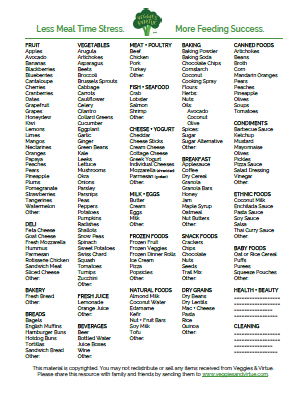 If you are a label reader, this information can be helpful for choosing which deli meat is among your best option. Unfortunately, all the jargon on the front of the label is often what sells to more of us. We get so distracted by flashy terms that sound "healthy," we assume the sandwich meat must be. While Oscar Meyer still sells plenty of products that are packaged almost identically to how they were 20 years ago, most other mainstream lunch meats have gotten up with the times and put token marketing phrases on their packages of lunch meat. Terms like, "No Nitrates/Nitrites," "All Natural," "No Added Hormones," "No Antibiotics," and "No By Products" may appear on lunch meat to make them look like they are healthy for you. The problem is, none of these highlight if you should even be buying that processed meat to begin with. The marketers of course are for it. Many health organizations and evidenced-based findings suggest you don't however, in an attempt to lower processed meat intake. So without giving you a headache explaining each of the marketing terms mentioned above, I want you to turn your mental attention to what matters more. Many of you have all sorts of questions about what's okay, what's not, and which kinds to buy when it comes to lunch meat. Read through these FAQs, then grab your free Shopper's Guide below for a download to "What I Buy and Why: Lunch Meat." What are nitrites? Why do I care? Sodium nitrite is one of the most commonly used nitrites in lunch meat. It appears on the ingredients list of almost every type of traditionally processed meat. It is also one of the top ingredients of concern on the Environmental Working Group's (EWG) new Dirty Dozen Guide to Food Additives. According to the American Meat Institute, sodium nitrite is "a salt and an anti-oxidant that is used to cure meats like ham, bacon and hot dogs. Sodium nitrite serves a vital public health function: it blocks the growth of botulism-causing bacteria and prevents spoilage. Sodium nitrite also gives cured meats their characteristic color and flavor." For more information on Sodium Nitrite, please see the EWG's brief statement on Sodium Nitrite. If the label says a product is "all-natural" with "no nitrates or nitrites added," is it okay to eat? "Natural" and organic lunch meats often use more natural ingredients for nitrites, like celery powder and sea salt. Although these nitrites are naturally occurring, it is still poorly researched what their impact on one's health is. For this reason, they may offer a better alternative to traditionally processed meats (with sodium nitrite), but they still don't necessarily give you a free pass to pack sandwiches every day for lunch. Is it better to buy from the deli-counter or from pre-packed brands? Most people's perception is that ordering from the deli counter is "healthier." There is something about seeing someone slice your meat that makes it feel more fresh and in turn, healthy. This is a misconception however. Lunch meats brought from the deli-counter and pre-packaged BOTH hold the same health concerns. With either option, you may try to seek out the "all natural" option, which specifically states "no nitrites or nitrates." From my experience, VERY few grocers carry this type of lunch meat at the deli counter even if in theory it exists (ie. Boar's Head has such a product but never have I actually seen it in a store). Does the recommendation to reduce lunch meat intake apply to all lunch meats (ie. chicken, ham, turkey, bologna and roast beef)? Or is one better than another? Using the nutrition criteria above, you will see some lunch meats meet the criteria better than others from the standpoint of heart health. When considering which meats are associated with increased cancer risk, all fall under the same umbrella of "processed meat." For this reason, your best options for lunch meats come from the truly natural forms of these meats. Slice your own turkey breast, cut chicken pieces off of a roasted rotisserie, or shave your own slices of beef from a rump roast. How much lunch meat "can I get away with"? According to the press release from the IACR, eating approximately two ounces of processed meat per day can increase cancer risk by 18%. That's equivalent to the amount of lunch meat included on a six-inch Subway sandwich every day. The cancer risk continues to rise as processed meat consumption increases, according to the American Institute for Cancer Research. For this reason, AICR recommends avoiding these foods, except for special occasions. Can I still go to Subway (or the like of sandwich shops)? Of course you can. Just be mindful of how often you do and what you are ordering. Many places (Jason's Deli is a favorite of mine) offer sliced chicken breast instead of lunch meat. It is easy to opt for meatless options as many specialty sandwich shops as well, thanks to so many savory toppings like specialty cheeses, avocado, and decadent smears. Want to know what I would recommend if we were on a grocery shopping tour together? Click the link below to get your FREE "What I Buy and Why Download" for my good, better, and best lunch meat recommendations! Download your free shopper's guide for "What I Buy and Why: Lunch Meat" here! It is unrealistic to assume most Americans are going to ditch eating sandwiches all together. 50% of us eat them every.single.day. For this reason, I think it deems at least stating that the occasional sandwich isn't going to kill you. Risk is not the same as cause. So although eating sandwich meat every day may increase your risk to certain cancers, we recognize that there are several other factors that also come into play (ie. your diet, exercise, genetics, and other lifestyle-related areas). However the link between diet and disease, and in this case lunch meat and cancer risk, is undeniable. This makes what you put between your two pieces of bread important in creating a healthy lifestyle for sandwich eaters everywhere. Make conscious decisions about which lunch meats you buy. If nothing else, check out the EWG Food Scores tool and see what lunch meat option may be both available and affordable as part of your family's lifestyle. Chances are, you could at least find out that is all around healthier for a similar price point.